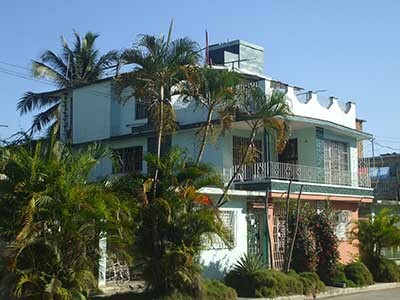 Specially in this area of Cuba it is difficult to find a hotel ... if you prefer a hotel of course. We are still searching for the best casa partculares in this region, please send us your review through the form below and we will get back to you and of course post your review at the Cuba-Junky website. My review: A very comfortable Casa with beautiful garden to enjoy your breakfast and amazing hosts. Walking distance to historical centre. How was the food they offer? : Great and, as always, far too much! Other services they offer: Extensive knowledge of Cuba, happy to share and offer suggestions of places to visit. Very helpful. Great sense of humour. Other comments: Extremely friendly and helpful hosts. Forgot all the amenities details - not important enough. My review: We were given the address of this place on our way through Contra Maestre by bike. It is an upstairs with two bedrooms and a shared bathroom plus a small kitchen and living room and an outdoor roof top patio. We stayed two nights and had breakfast both days and dinner one night. 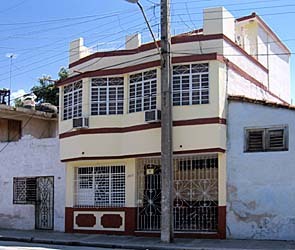 Location is about a five minute walk from the centre of Bayamo - a lovely city. The owners were very nice and very helpful. House at the first floor, livingroom with bedroom, bathroom, kitchen TV, airco. Good breakfast. Gigi loves to show you around and is very helpfull. Parking at the other side.